"Only Plunkett comes close after careful consideration. He is, historically, a 3/1 chance considering the number of times he has landed"
If last week's Royal London knockout contest between Nottinghamshire and Kent is anything to go by, there could be some potentially damaging movement available for the bowlers. Batters beware. Notts, last year's champions in the competition, probably reckoned they were on to a good thing in front of their own fans and a chance to notch a whopping score against a Kent side who had just taken a beating by Essex. They were wrong. Harry Podmore, an unheralded seamer, took four wickets as the Notts batting was wrecked. With cloud cover expected, the pacers will hope for assistance through the air and off the pitch. And there are types of bowlers on both sides who could benefit. For England Liam Plunkett and David Willey will expect to get it darting around with the new ball. Jhye Richardson and Kane Richardson likewise for Australia. Historically, these sort of bowlers have done well. In the last ten years at Trent Bridge 12 bowlers have taken three or more wickets in an innings and nine of them have been swing bowlers. But that's not enough for this column to go charging in. The odds have to be right. Or rather, wrong. And only Plunkett comes close after careful consideration. He is, historically, a 3/1 chance considering the number of times he has landed in this market. Betfair Sportsbook agree and have him the same. Plunkett is in terrific form. He took four wickets in Cardiff in game two to cop and before that at The Oval he took three wickets. In that contest he bowled with the old ball rather than the new because of the lack of potential for swing. The Yorkshire player will probably be first change behind Willey and Mark Wood. Willey is a threat because he can move the ball at pace. But the 4/1 is too short. Wood should be bigger than 7/2 and his style is all-out pace rather than subtle movement. For the Aussies the Richardsons are slippery. Jhye has only played two ODI so we have nothing to go on. The 7/2 holds some appeal though as he could well develop into a 3/1 chance. Kane is 7/2 and although more experienced he should be a smidgen bigger. We are big fans of AJ Tye but he is unlikely to get to use the new ball and we fear that he could be a couple of wickets behind by the time he gets his opportunity. 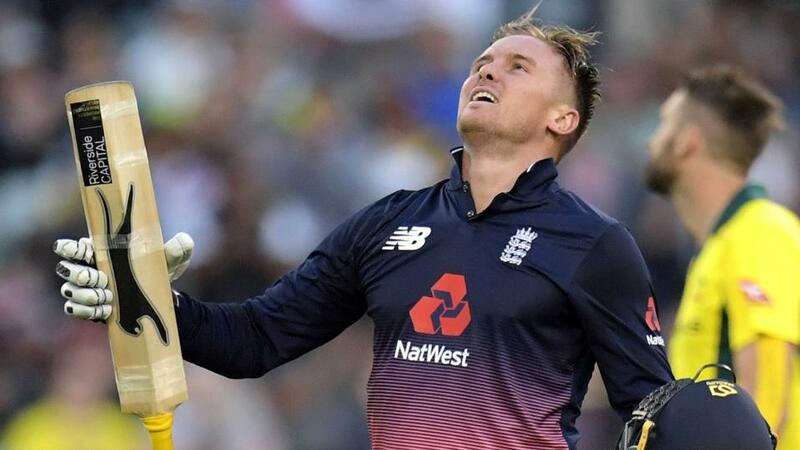 Jason Roy's 120 in the second ODI in Cardiff will guarantee that he is all the rage for runs in Nottingham. But how likely is it that the Surrey man puts together back-to-back scores? Roy is a blitzer who throws caution to the wind. He is not expected to be consistent. That is why he successful. The pressure to perform has been released because the team management know he is a player who comes off about once every four or five games. But when he does, it can be spectacular. This view is probably in contradiction to how most bettors think. He did it yesterday, he can do it again today. Look at his form. And so bets for him to be top England runscorer at 10/3 with Betfair Sportsbook or at 13/8 to score a fifty will be popular. In all likelihood, Roy might not repeat. These are his four scores immediately following his centuries (he notched his fifth at Sophia Gardens): 2-34-5-48. It's a small study sample. What about when he scores a fifty? Again, these are his next innings (Most recent first): 2-180-96-17-13-65-82-41-0-34-5-48-7-36-31. That's four fifties in the next innings. On those returns he should be about 13/5 for another fifty. Over his whole career he is between 13/5 and 11/4. Of course Roy doesn't actually have to succeed for a bet to win if you think he can hang around. Sportsbook offer 10/11 that he busts 28.5 runs. His averages following a century, a fifty and over his career are the following: 22-44-37. Those numbers, and the fact that he has beaten the mark seven times out of those 15 'after a fifty' knocks suggests it's not a terrible bet. Still, throughout his whole career he should be 6/5.